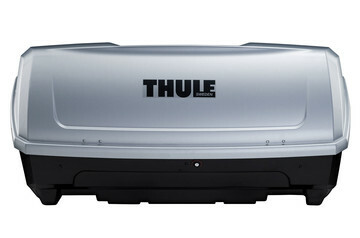 A Thule towbar cargo carrier is the ideal solution for transporting extra gear on the rear of your car. Let us help you find the best option. Easily accessible and spacious cargo solution for rear of car. Easily accessible and foldable transport solution for rear of car. Lightweight, durable cargo box that fits onto the rear of the car, keeping all of your gear easily accessible. 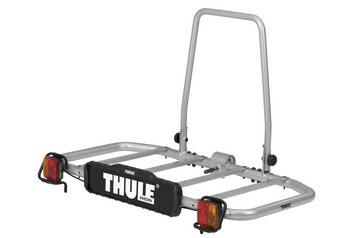 When you want to bring everything you need, a Thule towbar cargo carrier gives you extra carrying capacity. Safely and securely mounted on your car’s towbar, you can choose an open cargo platform or a platform with a box or bag for extra security and protection from the elements. And when not in use the cargo carrier is easy to dismount and store. Tested to the limit – and beyond. 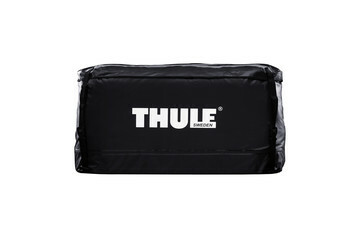 Thule’s number one priority is safety – for you and the people around you. 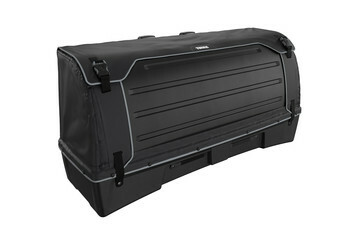 Our cargo carriers are designed to carry your gear and fit your car as safely and securely as possible. Nevertheless, at the Thule Test Center™, we also make sure they can withstand multiple crash tests, wear and tear simulations, as well as extreme heat, cold, damp, sunlight and chemicals.